We've been busy making lots of updates to this app to make it even better for your little ones! 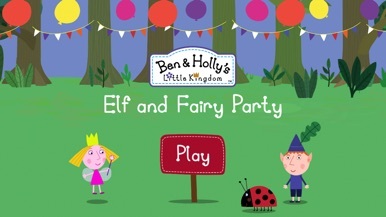 Join Ben, Holly, Nanny Plum and Gaston - for a fun Elf and Fairy Party! Fans of the TV show will be enchanted with this fun app inspired by the episodes. 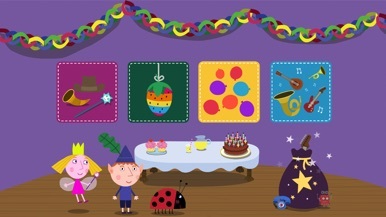 This FREE interactive app encourages pre-schoolers to join in the party fun in the magical world of Ben and Holly. 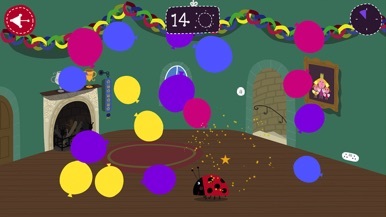 Featuring the much loved characters, music and sound effects, they can design their own wand, horn or hat, conduct the elf band and get everyone dancing at the party, pop the balloons, and play Piñata! 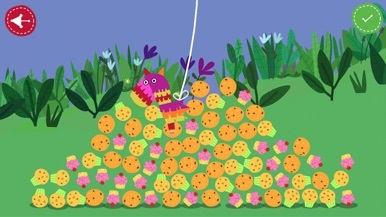 As they complete different activities they can collect special gifts as rewards in their very own party bag. Plus, watch out for some special surprises and jelly floods! Ben and Holly are loved by families all around the world. Holly, a young Fairy Princess, is still learning how to fly and her magic doesn’t always go quite according to plan. Her best friend, Ben the Elf, doesn’t have wings and he doesn’t do magic. 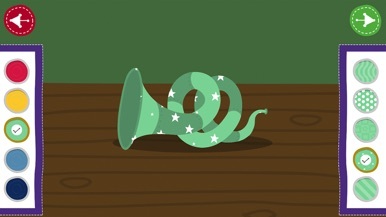 But elves are very good at making things – especially toys. They live in the Little Kingdom – a tiny land where flowers and grass rise above the tallest towers.